I compared these to Arkel T-28s and chose Millcreek because of the extra full size pocket which allows that much more separation of contents. 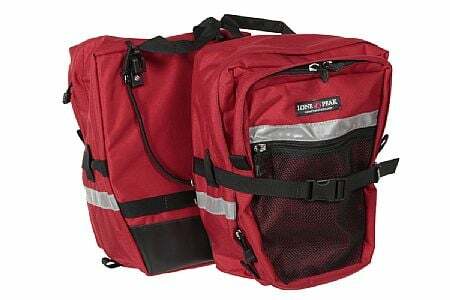 IMO the Arkels have a superior mesh pocket design because it closes with a cord rather than a zipper like the Millcreeks but particularly when you consider the price differential the Lone Peaks are the best bang for the buck. And I don't care for the Arkel mounting attachments ISTM it's too easy to remove the bags which could result in higher probability of theft.